Hello, I recently got put on the wait-list as of March 20th. I was told the wait right now is 2 years. Is anyone in the program or going to start? How long did you guys wait for, and is it possible to get in sooner. I keep hearing or reading of some people getting in the program in less time. Hey Jonsushi. I think I probably replied to your other post about GRCC and the ready date but I don't believe I mentioned what my wait was. The 2 year wait is actually shorter than what the lists have been running in the past; they recently changed the curriculum to a concept-based curriculum and shortened the program, so, these changes may be why the list is shorter. I was told that my estimated wait time would be 3 1/2 to 4 years. I completed my HESI and got on the waiting list in February of 2014. In June of 2016 I received a letter that my name was on top of the list and I had to schedule my EDP (educational development plan), so, I did that in June '16, had general orientation in September '16 and started the program in January of 2017. I waited right under 3 years to officially start the ADN program when they told me I would wait 3 1/2 to 4 years so there is definitely a good chance of you getting in sooner. I have heard of some recent students in our current cohort that were not going to start until next year, yet, they received a call a year earlier because spots opened up. And yes, you should consider yourself lucky that your ready date was before you took the HESI. 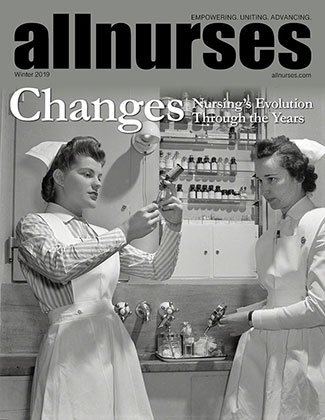 However, there have been so many recent changes to the nursing program lately that this could very well be a new thing they are implementing. You're very welcome! I took NUR 100 with ---------------- but I'm not sure if she is still there or not since it was about 3 years ago when I took that class. She was very good though. Some of our current professors in the ADN program also teach NUR 100, such as --------------- and -----------. I'm not sure if they are teaching in the fall but if they are make sure you get in one of their classes. They are absolutely amazing!